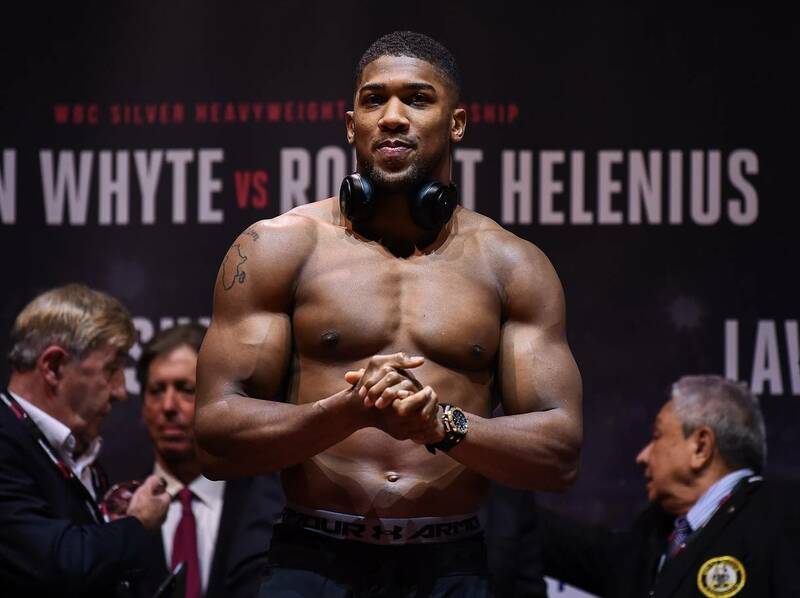 Promoter Eddie Hearn has revealed the shortlist of names to face unified heavyweight champion Anthony Joshua 22-0 (21) at Wembley Stadium in London next April. The Matchroom Boxing boss says the final decision will hinge on the result of the WBC heavyweight title fight between champion Deontay Wilder 40-0 (39) and challenger Tyson Fury 27-0 (19) at Los Angeles’ Staples Center on December 1. Dillian Whyte 24-1 (17) will face Dereck ‘War’ Chisora 29-8 (21) at London’s O2 Arena on December 22 in a rematch of their 12-round split decision won by ‘The Body Snatcher’ two years ago. Undisputed cruiserweight champion Oleksandr Usyk 16-0 (12) defended his WBC, WBA, IBF and WBO 200-pound titles against Liverpool’s Tony ‘Bomber’ Bellew 30-3-1 (20) with an impressive eighth round TKO at Manchester Arena on Saturday. But Hearn says the Ukrainian southpaw would have a difficult time against the unbeaten Briton. “I think the AJ fight is a very, very, very tough fight for Usyk,” Hearn stated. “AJ is very fast, and he’s very mobile, and I think Usyk will do better against slower heavyweights, who aren’t as mobile. The 29-year-old Joshua, who successfully defended his WBA, IBF and WBO heavyweight titles with an eighth round TKO of Russian veteran Alexander Povetkin 34-2 (24) at Wembley Stadium in September, has shown interest in facing Usyk. “I think he’s intrigued by Usyk. I think he would like to fight Usyk, I think he would like to fight everybody who he views as a top-level fighter,” continued Hearn. “The challenge for Usyk is the size. It’s going to be very difficult for anybody to out-skill him, but [Evander] Holyfield did it, but he did it actually with toughness, which is even harder than to do it with skill. “But I think if Usyk shows what he will show at heavyweight, and if he puts himself in a position, AJ will have no problem fighting him. “That could end up being a huge, huge fight, but I think Usyk in the post-fight interview was very sensible, and said this division is not a joke.